US Marine Corps F-35Bs will make their combat debut in the Central Command area of operations in the next few months, a report on marinecorpstimes.com says. The aircraft have been embarked on two assault ships attached to two Marine expeditionary units (MEUs). The 31st MEU with the amphibious assault ship USS Wasp is en route to the Pacific area of operations, while the 13th MEU aboard the amphibious assault ship USS Essex will arrive in Central Command area in the northern spring and is expected to participate in combat operations in that theatre. 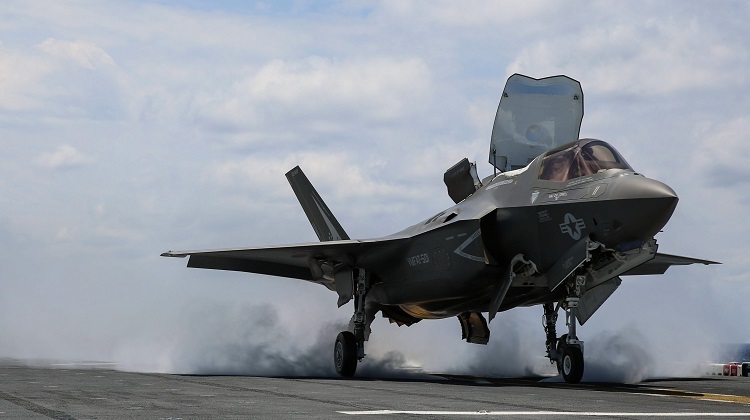 The USMC has a requirement for 353 F-35Bs and 67 of the F-35C carrier variant to replace F/A-18A-D classic Hornets, EA-6B Prowlers and AV-8B Harriers in service. If this happens it will be just one of at least a few significant milestones for the F-35 in 2018. Others include announcement of block 3F development completion, F-35C IOC with the US Navy and the homecoming of the RAAFs first two F-35As. I don’t think even all these milestones combined will be enough to silence most of the F-35s critics. I think that is still going to be a slow process at least over the next couple of years. When the two 35s arrive at Willy, it will be a massive event that will transition us to a true 5th gen force. I will be there with burners on!! !